Biography* � Rex, as he was called, was a good-looking man, full of life and very athletic, especially in football, wrestling, and running. Won a medal in State competition for hurdles. Ran five miles every night, and he and his buddies the Rome Athletic Club, which finally turned into the Y.M.C.A. He was gifted in mechanics. Could take his cars and motor boats apart and put them back together again in perfect condition. He won motor boat races on Rome's three rivers. Was an excellent swimmer. At seventeen years of age, he joined the U.S. Navy during World War I, and Served on a troop transport ship. both North Georgia and parts of Alabama. + W. Rexford Culpepper, 6 Nov 1898 – 12 Apr 1958. Lillian M. Wimpee, A. Daughter, F, Dec 1890, 9, Sng, GA/GA/GA. Grover Culpepper, Son, M, 1 4/12, Sng, GA/GA/GA. William R. Culpepper, Head, 31, M, md @ 24, GA/GA/GA, Bookkeeper/men's clothing st.
Noreen E. Culpepper, Wife, 28, M, md @ 23, MD/GA/GA, Cashier/State Hiway Dept. Malcolm Culpepper, Son, M, 7, Sng, GA/GA/GA. 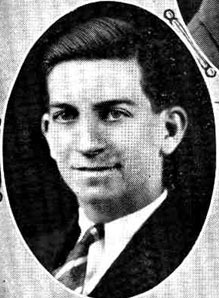 William Rexyerd Culpepper (1898-1958, s/o Wm. Henry & Fanny Wimpee Culpepper) and Noreen Evelyn Jones on 13 Apr 1924 in Floyd Co., GA, Book N-577. William R. Culpepper, d. 12 Apr 1958 at 59 years in Floyd Co., GA; Res. in Floyd Co., GA.
Noreen J. Culpepper, d. 1 Jan 1991 at 89 years in Floyd Co., GA; Res. in Floyd Co., GA, 001641. Biography* � Louise was a striking looking woman, very intelligent, and before her marriage taught math in the Rome High School (The old Shorter College buildings on Third Avenue. She was a graduate of Shorter College, belonged to the University Women, The DAR and the Rome Music Lovers Club. (Held offices in all of them). She grew up in the Trinity Methodist Church where she headed the Epworth League (young people), taught Sunday school, and eventually was president of the Women's Society. When her son , Berry, was born she transferred her membership to the First United Methodist where her husband was a member of the Official Board. Here, too, she continued to serve in many capacities. Malcolm Culpepper, Son, M, 17, S, GA/GA/GA, ?? with newspaper. Mary Louise Culpepper (1903-1983, elder d/o Wm. Henry & Fanny Wimpee Culpepper) and Wm. Berry Broach (1897-1959, s/o Thos. Berry & Hattie Trammell Broach) on 6 Aug 1930 in Floyd Co., GA, Book P-420. William B. Broach died 13 Jul 1959 at 62 years in Floyd Co., GA; residence in Floyd Co., GA.
Fannie W. Culpepper, d. 13 Oct 1969 at 93 years in Floyd Co., GA; Res. in Floyd Co., GA, 029129. + Fannie Wimpee Culpepper, 16 Aug 1876 – 13 Oct 1969. Biography* � Attended Shorter College (after graduating from the Rome Public Schools) the University of Georgia and Columbia University in New York. She taught second grade in the Rome Public Schools, (three years in fourth Ward School and 36 at Central Primary). After she retired, opening a Kindergarten with a life long friend and fellow teacher, which they ran for five years (very successfully)when they had to close it because their Mothers were very old and sick, and they were needed at home. She, too, grew up in Trinity Methodist Church, and from the age of 13 she assisted in the Beginners Dept. in the Sunday school, and in her twenties taught a class of teenagers. She served on the Official of that Church. At the death of Louise's husband she transferred to First United Methodist Church, since they were both left alone in their respective churches. There, too, she has held many offices and served on the Official Board, and the work area on Missions. She belongs to Delta Kappa Gamma (an honorary Teachers' Society) is also a member of NEA, GRTA (Georgia Retired Teachers Association). Kathryn E. Culpepper, d. 18 Aug 1996 at 91 years in Floyd Co., GA; Res. in Cobb Co., GA. Biography* � Wilbur played football in Rome High School (was noted for his ability to "kick gals and stop holes"). He attended Oglethorpe University in Atlanta. He was a salesman. After his father's business failed in the Depression, he was a sales manager for the G.L. Hight Motor Co. in Rome until the owner retired. He was recommended by General Motors to the owner of the Chevrolet Agency in Statesboro, GA. He was very successful in building up that business. (When the owner, Mr. Franklin asked him after he had been there for sometime, what had made take the job, his answer was, "Well, when I saw your books, I knew there was only way for the business to go:!). Wilbur Alan Culpepper (1908-1973) and Frances Alva Treadaway (d/o Mrs. Margaret Jane Treadaway) on 8 Aug 1930 in Floyd Co., GA, Book P-455. Wilbur A. Culpepper, d. 1 Sep 1973 at 64 years in Bulloch Co., GA; Res. 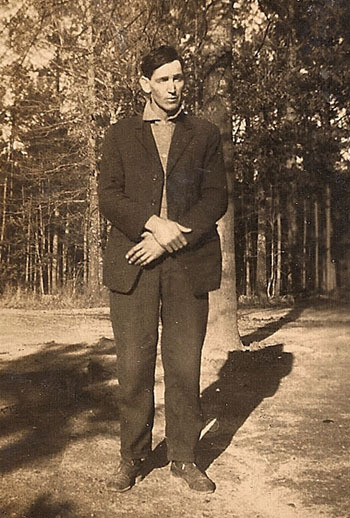 in Bulloch Co., GA.
+ Wilburn A. Culpepper, 1908 – 1973. + Alva T. Culpepper, 1908 - ____. from Rome High School Yearbook: Orchestra, '28,'29; Roman Staff, '28,'29; Spanish Club, '28,'29; Secretary K. K. D., '29; Scribblers' Club, '29; Secrtary Spanish Club, '29. Biography* � Malcolm was a fine man. He had a talent for music, and when he was in teens, played for a local band. He could play several instruments. He is very intelligent and would have done well in College, but was caught in the Depression. For a while he ran a service station. 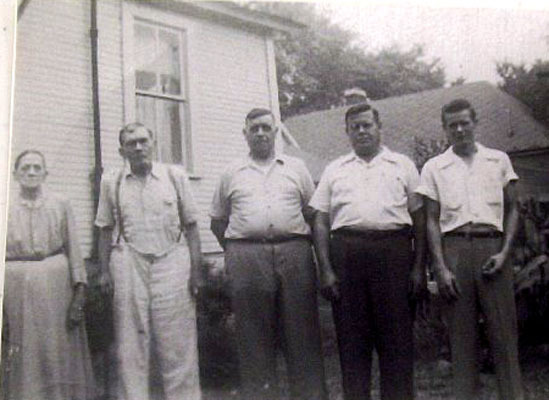 Later for an oil company, and then later he worked for Rex as a salesman in the H.G, Doster Co. and at Rex's death, he and a young man who had worked there. Too, bought shares in the business from Noreen, the widow, and still are very successful. Mac's son, Bruce, works in Atlanta as a salesman. Bruce, too, has a charming personality, as well as being a god salesman. Bruce has one daughter, Kim. US School Yearbooks, Online database at Ancestry.com. Yearbook Title: The Roman 1929. Malcomb G. Culpepper (1912-1986) and Marjorie Broach (b 1917) on 15 Aug 1939 in Floyd Co., GA, Book S-524. Malcolm G. Culpepper, d. 18 Mar 1986 at 73 years in Floyd Co., GA; Res. in Floyd Co., GA, 010370. + Marjorie B. Culpepper, 1917 - ____. Obituary* 28 Sep 2011� Mrs. Marjorie Broach Culpepper, age 93, of 33 Blacks Bluff Rd., Rome, GA, passed away at a local hospital Tuesday morning September 27, 2011. Mrs. Culpepper was born in Rome, GA. December 16, 1917, daughter of the late Malcolm Hill Broach and Mamie Hill Watson. She was also preceded in death by her husband Malcolm Githens Culpepper who passed away in March of 1986 and to whom she was married to for 48 years and by two sisters Elizabeth and Dorothy. Mrs. Culpepper grew up in Rome and was of the Methodist faith. She taught school for over 35 years in the Rome City School system. During her last years of teaching she loved teaching math and English at East Rome Junior High. She was an avid bridge player and loved teaching others to play bridge as well. She loved people and she was a caregiver of everyone she was able to help. More than anything she loved helping others who were not able to help themselves. She was loved by her family and will be greatly missed. Survivors include one son; Malcolm Bruce Culpepper of Duluth, GA., one grandchild; Marjorie Kim Culpepper of Rome, one great grandchild; Euris Andre' Elkins, Jr., one great-great grandchild; Gabriella Shontae Elkins, two close friends; Robert G. Graham and Christina Allard and a number of nieces and nephews. Obituary of Marjorie Broach Culpepper (#34450), published 28 Sep 2011 at DignityMemorial.com. Margaret Cooper, Sister-in-law, F, Dec 1884, 15, Sng, GA/GA/GA. Irene Upshaw, Boarder, F, 23, Sng, GA/GA/GA. Robert Steede, Nephew, M, 15, Sng, AL/GA/GA. Dr. W. F. Culpepper, d. 17 May 1937 in Coweta Co., GA.
+ Kate Cooper Culpepper, 3 Feb 1868 – 26 Feb 1954. Kate C. Culpepper, d. 26 Feb 1954 at 86 years in Coweta Co., GA; Res. in Coweta Co., GA.
+ Mary Douglas Culpepper, (d/o Dr. W. F. Culpepper), 20 Mar 1894 – 18 May 1961. Mary Culpepper, Dau, F, 35, S, GA/GA/GA. Mary D. Culpepper, d. 18 May 1961 at 67 years in Bibb Co., GA; Res. 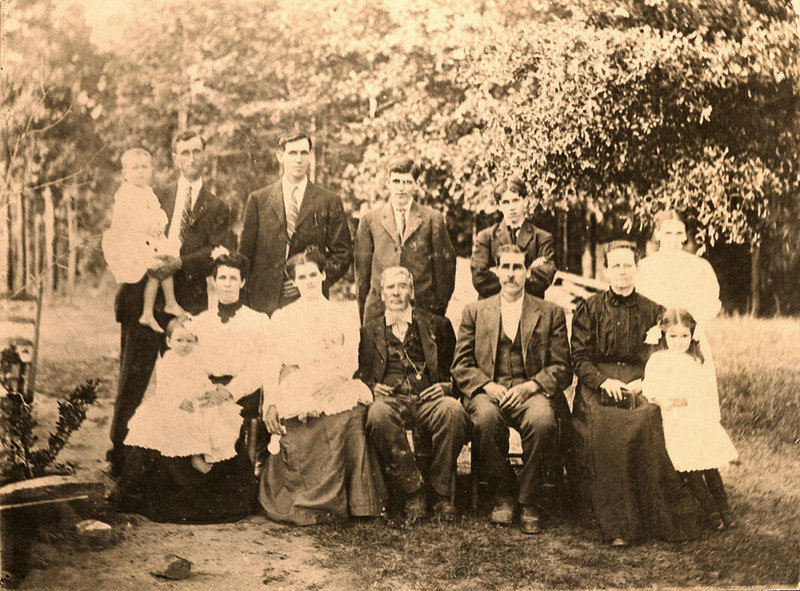 in Coweta Co., GA.
Marriages from Marshall County Newspapers (page 65): Jefferson Culpepper married Nolie B. Medlock in Jun 1892. Nancy Jane Culpepper died Jul 1936 in Marshall Co., Alabama. + Nancy J. Culpepper, 8 Feb 1850 - 3 Jul 1936. 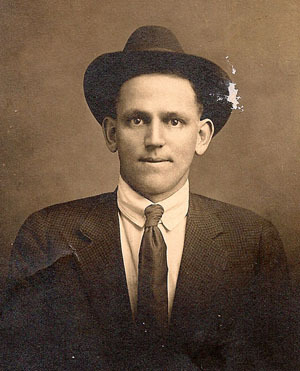 J. J. Culpepper died Sep 1938 in Marshall Co., Alabama. + Nola B. Culpepper, 1876 - 1948. Rufus Dekater Culpepper, Albertville, Marshall Co., AL, age 43, born 8 Feb 1876, Farmer, Caucasian, Nearest Relative: Mollie Culpepper of Albertville, Marshall Co., AL, Short Height, Slender Build, Blue Eyes, Brown Hair, No disabilities, Registered 12 Sep 1918 at Marshall Co., AL. Effin L. Culpepper, Dau, F, Wh, Jun 1880, 19, sng, AL/AL/AL. Biography* � Mary Lillian Butler Pierce wrote, 9 Jan 1978, that her mother "was three years old when they [the John James Culpepper family] moved to Albertville, in a covered wagon...." On 14 Mar 1979, Mary Lillian added: "My mother was the greatest. My Dad died during the big depression, Mom was a father and mother to us, plus, cared for her aged parents." On 31 May 1979, Mrs. Pierce continued: We had our share of company in times past, and enjoyed every minute of it. My mother was a great entertainer and a great cook. So was her mother. My mom had a world of friends. We gave her a birthday party when she was 80 year old and I guess there was 150 or 200 relatives alone that came not to mention friends that dropped by in the afternoon. I thought it would be nice if mama would get 80 birthday cards, since she was 80 years old. She got 186 birthday cards through mail and more gifts than she knew what to do with. She was happy, not only on her birthday, but all the time. Our pastor said mama was the happiest and most content senior citizen, that he had ever known. She was a person that look for the good points in people, and not the bad ones. She hated gossip. On 14 Mar 1981, Mary Lillian added: My mother grew a vegetable garden with only a hoe, and grew cabbage that weighed 13 lbs each... grew a variety of blooming flowers and shrubbery and strawberrys.... One of her hobbies was a collection of salt and pepper sets. She had about 200 sets from all over the U.S.
Robert J. Culpepper, Father, M, Wh, 79, wid, SC/SC/SC. William O. Culpepper, Son, M, Wh, 0/12, sng, AL/AL/AL. Menveal E Culpepper, born 30 Dec 1917, resided at 2826 Briarwood Dr SE, Huntsville, AL, 35801-2223 (1982). William Lee Culpepper, Union Grove, Marshall Co., AL, age 33, born 12 Aug 1885, Farmer, Caucasian, Nearest Relative: Beatrice Culpepper of Union Grove, Marshall Co., AL, Medium Height, Medium Build, Dark Blue Eyes, Black Hair Hair, No disabilities, Registered 12 Sep 1918 at Marshall Co., AL. Elton Culpepper, Son, M, Wh, 2 4/12, sng, AL/AL/AL. 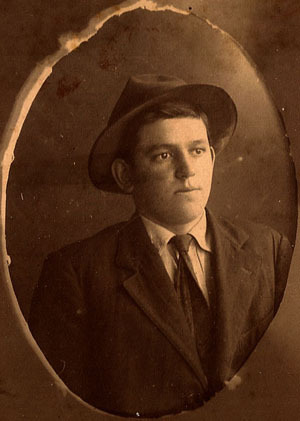 Herman Culpepper died Sep 1924 in Marshall Co., Alabama. Georgia Culpepper died Jun 1925 in Tuscaloosa Co., Alabama. Civillow Culpepper, Dau, F, Wh, 6, sng, AL/AL/AL. Opal Culpepper, Dau, F, Wh, 4 10/12, sng, AL/AL/AL. E-mail written 28 May 2011 to Warren Culpepper from Lori Dunn Carroll, e-mail address. Joseph L. Whitten, Wedding Bells & Funeral Knells: Marriage, Birth & Death Notices from St. Clair County, Alabama Newspapers 1911-1939, Odenville, Alabama: Whitten, Joseph L., c2002, page 150. Vinie Culpepper, Wife, F, Wh, 19, md1-0yrs, ch 0/0, AL/GA/GA.